After playing 'Raja Rawal Ratan Singh' in the historical drama Padmaavat earlier this year, Shahid Kapoor is back with a bang. 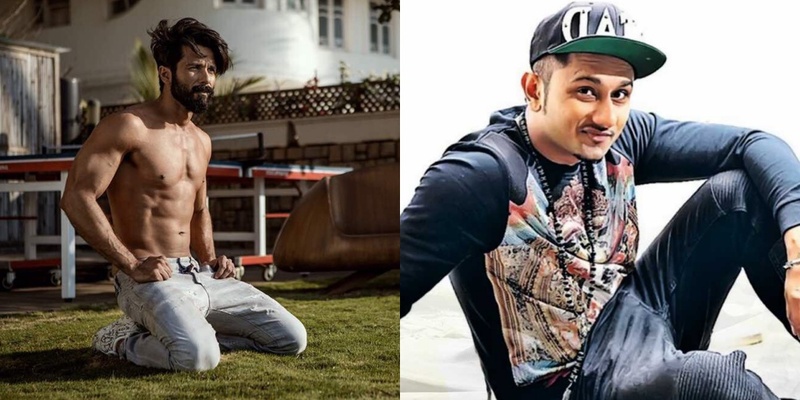 The actor, who is gearing up for the release of his next film Batti Gul Meter Chalu, has been busy burning the dance floor in suburban Mumbai studios for a special project. It is now confirmed that he is all set to feature in a very exciting single, that is being produced Bhushan Kumar of T-Series. Remember the chartbuster - 'Urvashi Urvashi' featuring Prabhudheva, where the actor was seen showcasing some insane moves? An entire generation grew up listening to and dancing on this popular track. The song from Prabhudheva - Nagma's Tamil film Kadhalan [also released in 1994 as 'Humse hai Muqabala' in Hindi] is all set to be recreated with a twist. And this time, the audience will be treated to some kickass moves by Kapoor. The actor has already stepped into the shoes of dance icon Prabhudheva for the song, and was rigorously rehearsing with choreographer Sanjay Shetty's team since a few weeks. The video was shot by director Gifty in Mumbai this week. Interestingly, the song has been recreated by popular music producer Yo Yo Honey Singh, and has been sung, written and composed by him. Actress Kiara Advani will feature alongside Kapoor in the track. "We’ve changed the lyrics, but the hook line remains the same. The song does not showcase a love story, but a new-age relationship between Shahid and Kiara. Even the choreography is contemporary. We are shooting on a club set in Film City. Earlier this week, we had also filmed some shots in a parking lot, in order to give the video an underground kind of a feel,” stated Shetty, adding that Shahid is super excited and looks like a complete rockstar. The actress admits that although she was excited about featuring in the super hit number, she was nervous too. “I know the pressure one goes through when a classic song is recreated. There will be comparisons. This could be my ode to Prabhu sir. Also, we all know Shahid is a great dancer, I was nervous about matching up to his skills, but he was super fun to work with. We were in sync from the word go,” stated Kiara. Contrary to reports that stated how this track would feature or be a part of Kapoor's upcoming film - Batti Gul Meter Chalu, a source close to the project confirmed that this isn't the case. The 'Urvashi' recreation would be a separate single, and has nothing to do with the film. Who else is super excited to watch this video already?